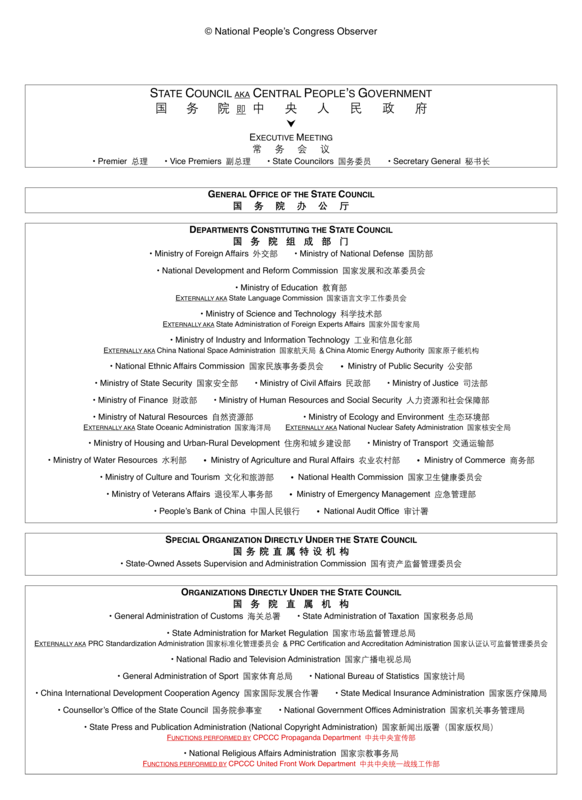 The following chart, derived from information on the State Council’s website, reflects the current structure of the State Council after its March 2018 reorganization. 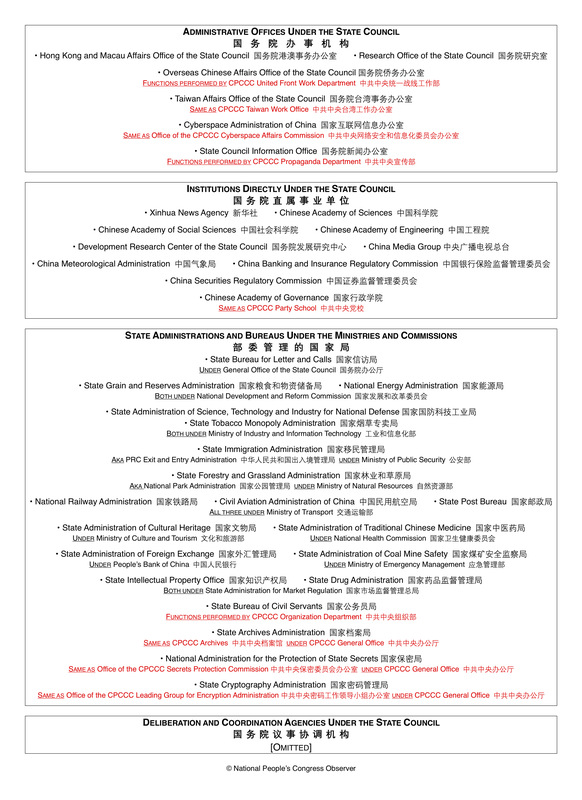 Official English names are used where available. An explanation of the various types of bodies under the State Council (except the General Office) can be found here; the deliberation and coordination agencies aren’t listed below because they are legion and change more frequently than other types of entities. Download the chart as a PDF. A加挂B牌子 → A is “aka” B (where A and B are both State entities).